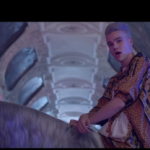 After Mikolas Josef’s successful participation in Lisbon and his 6th placing in the grand final, interest among local acts in Eurovision has escalated in the landlocked country of Central Europe. One of these artists is Jakub Ondra. 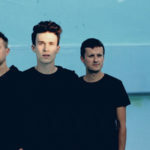 According to local media Jakub Ondra was reported as one of the artists interested in representing Czech Republic in the forthcoming Eurovision in Tel Aviv. Jakub released today his new single Space Sushi, which seems to be his music proposal for the Eurovision 2019. Czech site seznamzpravy.cz reports that Space Sushi, is Jakub’s entry through which he is aiming to win the national final and represent the country in Tel Aviv. You can watch Jakub Ondra’s video clip of the song here or listen to it on spotify. The Czech republic’s national broadcaster, CT, will reveal the 6 competing acts of ESCZ 2019, the country’s national final, on January 7 through a special press conference . Czech Republic appeared for the first time in the Contest in 2007 with Kabat. A a row of disappointing results the country withdrew in 2010 and didn’t return until 2016. In 2016 its returned was followed by a gran final qualification for the first time . The best result came for the country in this year’s edition of the contest with Mikolas Josef who achieved a 6th placing in the Lisbon with his song και Lie to me.